There are more than 4 million people over the age of 70 with the UK driving licenses and there are thousands of elderly drivers on the road each day. Driving is a great way for older adults to stay mobile and independent, however, ageing comes with muscle weakness, reduced flexibility, and a limited range of motion and as a result, elderly drivers are in danger of causing and getting into road accidents at any given time. As winter approaches, elderly drivers should take extra care to stay safe while on the road. The combination of ice and snow and frigid temperatures makes winter the most dangerous season for drivers of all ages, so to stay safe, here are some winter driving tips for older adults. One of the simplest ways older drivers can stay safe on the road is to wear the appropriate footwear for driving. In fact, a poll revealed that 27% of respondents have encountered difficulties in driving due to their choice of footwear. Driving loafers or moccasins are the best for driving as these leather or suede footwear with rubber-grommet soles makes for a more tactile experience on the pedals. Never wear inappropriate shoe styles for driving, such as flip-flops or anything with a thick sole, and women should never wear high heels when driving. Wearing these types of shoes won’t enable you to feel the pedals properly and this might cause an accident on the road. Older drivers should check the weather to see if the ice or snow will make it too difficult to drive. If the temperature is expected to drop or if there will be heavy snowfall, it may be prudent to head out on another day. Remember that no errand is worth risking your life for. Prepare your car for winter driving. Make sure to check if your windshield and rear window are clean and see if your battery needs to be replaced. Ensure that your headlights are working and that the oil and antifreeze levels are full. More importantly, see to it that your tyres are in good condition as bald tyres have a decreased ability to grip the road and cause the car to skid or spin out of control. 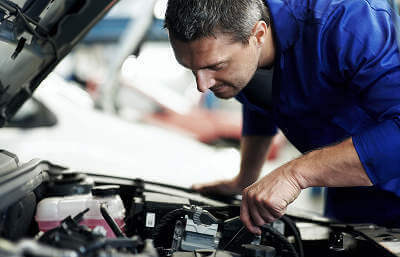 You can also search for these services online if you are not comfortable doing so yourself, you can, compare prices for a winter car service online, read the reviews online and see the if there is a garage near you all by using MyCarNeedsA.com. Elderly drivers should accelerate and decelerate slowly when driving in winter. Take your time whenever you make a turn, slow down, or a stop. Never change speeds abruptly as it can cause your tyres to spin and brake gently and leave plenty of braking distance between you and the car in front. Ensure your car's brakes are in full working order if they feel spongy or are making loud noises then get them checked prior to the harsh conditions starting. Older drivers should be well prepared in case of an emergency or a traffic accident. Pack an emergency car survival kit to make sure that you’re safe and warm in case you get stranded. You will need blankets, a mobile phone, a first aid kit, a flashlight and protein bars as well as a map and some water bottles. If you do find yourself in the unfortunate event of an accident that isn’t your fault and if you are signed up to MyCarNeedsA.com you are entitled to FREE Accident Aftercare. Which is a complete accident management service that will look after everything from claims management, insurance and personal injury. The Accident Aftercare team are there to help deal with the outcome of the accident, all you have to do is sign up today. That being said staying safe while on the road should be a priority for older drivers and by following these tips you will be more prepared this winter. Follow and share these tips to keep yourself and other motorists safe while driving in winter, if you have any other great tips we could be happy to hear about them via twitter @MyCarNeedsA_ and Facebook MyCarNeedsA.